St Mary’s Church in Guildford is the church associated with Lewis Carroll. Last week, St Mary’s caught fire. On Friday, the smell of burning was noticed, but it was assumed to be coming from outside the church. Though I have to admit, I was there Friday lunchtime, I did not notice any smell of burning, either inside or outside, and if there was, I would have noticed had there been, therefore it must have been later in the day. On Saturday, one of the beams was seen to be burning, set alight by the hot halogen lamps. The church was evacuated, paintings on display removed, the Fire Service called, and fire quickly put out. But what could have been, does not bear thinking about. St Mary’s Church is the only one of Guildford’s original three churches to survive in its medieval form. The flint tower is 10th century Saxon and is Guildford’s oldest structure. The church is likely to have been visited by many famous figures of the Plantagenet period when kings of England stayed at Guildford Castle. In the 19th century, Rev Charles Lutwidge Dodgson, better known as Lewis Carroll, author of Alice’s Adventures in Wonderland, preached there while staying at his nearby house The Chestnuts. I was invited by the owner of the Thai restaurant in Jeffries passage in Guildford to join her for jasmine tea. She was arranging flowers for the tables. I was pleased to see they had a Certificate of Excellence from TripAdvisor, as well deserved. An exhibition by Fleur Robertson at the Guildford Institute in Guildford. An interesting art exhibition in the Guildford Institute. It appears to be pastel watercolours, but it is not, it is photos, printed on canvas. For once, an artist who knows how to present their work, not covered in glass, or worse still, crumpled up sheets of plastic. Lunch at the YMCA is very variable. It can be quite good, and can be pretty awful. I was on my way to lunch at the Guildford Institute. I looked in the YMCA in case a friend was there. She wasn’t, but I decided to stay and have lunch. I had a pork chop covered in sauce, with chips, peas and parsnips. Nothing wrong with the pork chop. I did not though really enjoy it because my mind was on a salad at the Guildford Institute. My main reason for not going, was last week there was nothing left. I had a yoghurt from a Sussex farm, Turner’s Dairies. It was not very good, and no better than mass produced factory yoghurt. I decided to pop up to the Guildford Institute and have a sweet and a tea. The lady who usually does the food on a Friday was not there. I was pleased I did not eat there as what was on offer was not very appetising. I had a tea and a flapjack. Neither was very good. I made a mistake. I should have had lunch in the Thai restaurant in Jeffries Passage. There was though an interesting art exhibition, Local Light, which is worth a look at. I popped in the Guildford Institute Library. Due to the building work taking place (which is wrecking the building), the library is not open until September. Tuesday evening I was in Guildford, it was like winter. Today was a hot summer’s day. Winter to summer in a couple of days. I had intended lunch at the Guildford Institute, as usually very good on a Friday, but as I looked in the YMCA for a friend, I ate there instead. I did later look in the Guildford Institute, the lady who usually does Friday lunch was not there. It was a very unappetising spread. I am glad I did not eat there. I ought to have had lunch at the Thai restaurant in Jeffries Passage, where I had jasmine tea with the owner. I picked up Lewis Carroll card from the museum. They used to have on sale a wonderful Lewis Carroll Alice in Wonderland, but sadly no longer. As it was a lovely day, I thought I would sit in the Castle grounds and read a book. In Waterstone’s Godalming, a display of books including by Paul Coelho (must be a first for Waterstone’s). A book that caught my eye was about a boy who came back from heaven. It made me think of The Shack. The Shack is an interesting book, well worth reading. I could not find the book I was looking for (though when I inquired they said they had). But what I did find was The Shack Revisited, which I took to the Castle grounds to read. Portas Pilots: failure or success? 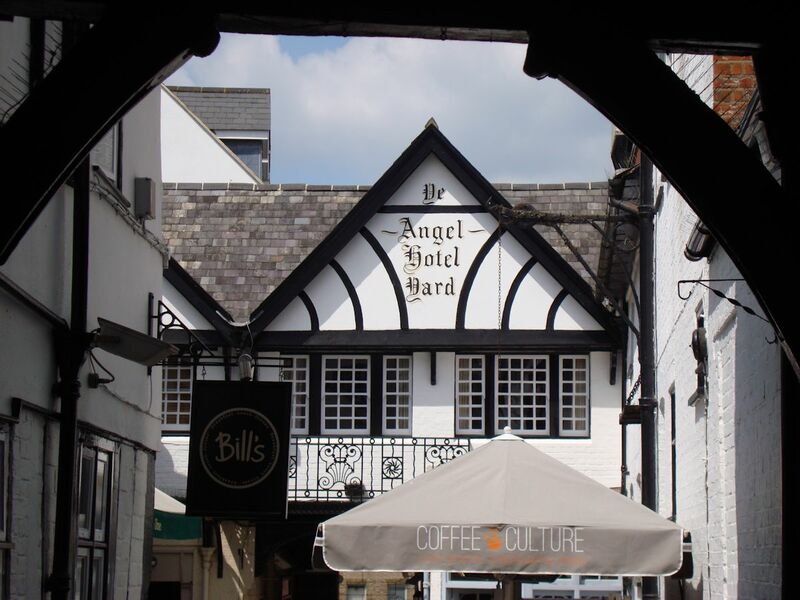 In May 2012, the government announced twelve English High Streets would share £1.2 million of cash to rejuvenate their town centres. The money allocated was trivial. Divvy up between twelve towns, and it was less than a High Street chain would spend on a store refurbishment. Research for BBC Radio 4 You and Yours would appear to show that from vacancy and occupancy rates, the Portas experiment has been a failure. Market Rasen appears to be a success. Was it the money, or the community spirit, and the lack of input from the local council? 300 towns applied for a share of the money. One of the unsuccessful bidders was Aldershot, a dire place to visit, boarded-up shops, betting shops, charity shops, fast food outlets, all the indications of a dead and dying town. A local councillor in Aldershot has woken up to the fact that a shopping centre is sitting empty. He claims the developer is letting down the town. A clueless idiot if ever there was one. Developers destroy town centres. They are only interested in a fast buck, a quick return, extraction of the maximum amount of money from the town. It is a bit rich coming from a local councillor. Who gave planning consent for the shopping centre? Why would any retailer wish to move into a dead and dying town centre? A situation caused by decades of poor planning decisions. If anyone has let down the town, it is local councillors, like the clueless idiot now shedding crocodile tears. Why would any retailer wish to move into a dead and dying town of boarded-up shops? The best use of the derelict shopping centre would be to turn it into something else. Anything other than retail. The question this clueless councillor should be raising is the dire straits of local retailers. Only a few weeks ago, the chief executive said Westgate was good news for Aldershot. This was news to local retailers who call the development Wastegate due to the dire consequences it has had on the town centre, a large retail development on the edge of the town centre, one large supermarket and several chain fast food outlets, all of which drain money out of the local economy. It was not necessary to have Portas cash, in fact it was almost irrelevant, what was important was to apply the principles, something Aldershot and neighbouring Farnborough (another dead and dying town centre) have failed to do. Town centres are about more than shops, retail and shopping. Which is one reason why shopping centres are such ghastly soulless places. In too many places, we have too much retail space, which is why much now sits boarded-up. We have had an over-expansion of retail space, aided and abetted by greed and corrupt planning planners in the pocket of developers. Retail space was expanded way beyond that which was sustainable, and we are now seeing the inevitable collapse and retraction. Much work has been done by Transition Towns and New Economics Foundation, on creating sustainable communities, and yet that work is being ignored. Small, independent retailers are the heart and soul of town centres, they provide diversity, character, recycle money within the local economy, and yet they have no say, are being driven out of town centres by greedy developers and corrupt planners in the pockets of developers. Sincil Street in Lincoln is a very popular street in the centre of Lincoln. It is all what remains of the historic town centre. Small shops, independent retailers. During the day, more people than the High Street. And yet the City Council seems hell bent on destroying it to replace with a soulless shopping centre. North Laine in Brighton is a pleasant are to visit. Why? Because of the diversity of its shops, restaurants, bookshops. Miracles will never cease, three books by Paulo Coelho found on display in Waterstone’s. Is this a new Guinness Book of Records for Waterstone’s? Yesterday afternoon, Waterstone’s in Godalming, three books by Paulo Coelho were found on display. Waterstone’s Godalming, is a very small Waterstone’s, the staff actually know about books, it is more like an independent bookshop, which may explain this strange and very rarely seen phenomena of Paulo Coelho books found on display in a Waterstone’s bookshop. The display, in addition to books by Paulo Coelho, had some interesting books, for example The Shack and The Boy Who Came Back From Heaven. Excellent vegetable soup, followed by stuffed butternut squash with a little greenery. The food does not only taste good, it is always well presented. As well as lunch, tea and cakes, there is also art and yoga at Café Mila. In the summer there may be a concert from a classical pianist and singer-song writer giving a hint of her forthcoming album. Free wifi, which a few of the customers were making full use of. There are books to read and browse, for example the amazing Quiet Food. 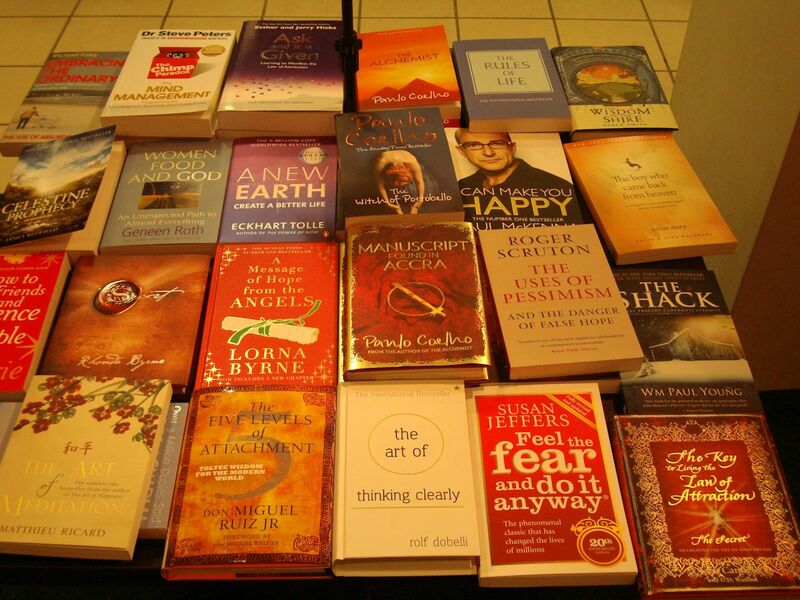 There are also books to take away, for example books by Paulo Coelho. The books to take away are tracked on facebook. But, as I have pointed out, this is not a good idea, as in reality, not possible to track on facebook, or at least find, though no doubt facebook will be flogging the information. Far, far better, is to set up a Café Mila blog. This can then have categories, books, recipes, events etc, ie like this blog. With the books, an initial review can be written, then anyone who takes a book, can add their comments. They can also do the same for any of the events, which so long as not abuse, provides useful feedback. I was tempted to have tea and cake, but decided to take a wander through Godalming, then pop back for afternoon tea. I was therefore somewhat annoyed to find when I popped back, they had closed early. Even more annoyed to be lied to by one of the girls saying they were closing early as not busy, as simply not true. As I was turned away, so was a lady with a dog. She said she was very annoyed as this was the second time this had happened to her. Not good, if closing time five o’clock, then one expects to be open until five o’clock. This will result in people not making the effort to go, once gone mid-afternoon, then Café Mila will end up in a vicious circle of closing earlier and earlier as quiet. People will not go in the last hour, if they cannot be sure to find open. The Schiedmayer family is a rare phenomenon in the history of musical instrument making, an unbroken dedication to a continuously evolving craft spanning a period of over 270 years, by members of the same family. Balthasar Schiedmayer, the founder of the company, built his first clavichord in 1735 in Erlangen. Seventy four years later, in 1809 one of his grand-sons, Johann Lorenz, established the piano manufacturing company Schiedmayer & Söhne in Stuttgart. The tradition of making keyboard instruments (clavichord, upright- and grand-pianos, harmoniums, pianolas, celestas) was passed from generation to generation. Schiedmayer & Söhne has been the first using the English action in the pianos in Germany as well as the first manufacturing Harmoniums in this country. The first piano with the name of Schiedmayer on the front was built around 1735, still early days in the history of the piano. It is not known how Balthasar Schiedmayer, who was born in 1711, came to be building pianos. What is known is that his name would be associated with piano-making of distinction and excellence long into the 21st century. By 1845, the business was based in Stuttgart and headed by Johann Lorenz Schiedmayer who brought his sons into the business and changed the name to Schiemayer and Soehne. The younger sons of Johann Lorenz, Julius and Paul, spent some time in London and Paris and eventually established themselves in Stuttgart around 1853 building harmoniums under the name of J & P Schiedmayer. In 1860, when the harmonium market was saturated, the business once again concentrated on building pianos and changed the name of the business to Schiedmayer Pianofabrik. A large collection of Schiedmayer instruments can be found in the musical instrument collection of the Landesmuseum Wuerttemberg in Stuttgart. Some Schiedmayer instruments are in the music history collection Jehle in the Stauffenberg castle in Albstadt – Lautlingen. A Schiedmayer piano can be found in the Parish Church in Godalming. It was donated to the church by a local family, and is in regular use. From the serial number inside, 40135, it would date from 1901-1910, this would also tally with the dates inside the keyboard cover. Last night I had dinner at The Keystone in Guildford. Both the leak and potato soup and the fish cakes plus a little greenery was excellent. The service though was appalling, but then it always is at The Keystone. I made the mistake of also ordering a side dish of chips. These were disgusting, laden with fat. We are losing somewhere between 18-26 pubs a week. Whereas the blame can be put squarely at the door of greedy pubcos who are screwing pub landlords, driving the landlords out of business, then selling the pub for redevelopment, too many pub landlords have not got a clue. The Keystone is listed by CAMRA in their Good Beer Guide 2013 (or maybe it is their Good Pub Guide), but I wonder for how long. There was two young lads behind the bar who I had not seen before. Whoever served me did not have a clue how to pull a pint. He simply aimed it straight at the bottom of the glass. Net result, foam. I thought he was pulling a pint to clear the pipes, having installed a fresh barrel. I expected him to empty it. It was therefore a big surprise when he brought it over to me. You got to be joking, was my response. No, it will settle down he said. In the toilets, the soap dispenser was falling off the wall, and was not dispensing soap. We have a crisis of bugs resistant to antibiotics. It is therefore vital we practice cleanliness when using toilets. To the extent all public toilets should have a big sign, above the sinks, on the door, Now Wash Your Hands, and provide the facilities to do so. Those pubs that do not do so, should be shut down, as they are spreading disease. There was very unpleasant music playing at very loud volume. It was difficult to hear yourself think. I was with friends. We were having to shout (thus increasing the overall noise level in the pub) to make ourselves heard, and even then we had difficulty hearing each other. Why have music at all unless it is live music? At least no wide screen TVs. 18-26 pubs a week closing. No information on this in The Keystone, even though there is a big campaign, Fair Deal for Your Local. You are currently browsing the Keithpp's Blog blog archives for May, 2013.